Le Céladon offers an area of 5,000 m² with many spaces that have been fitted out so that you can relax and recharge your batteries. A natural basin surrounded by stone and lilies sits alongside the jacuzzi on a specially designed terrace set back from the main terrace and accessible from the kitchen where breakfast is served, as well as meals when booked in advance. 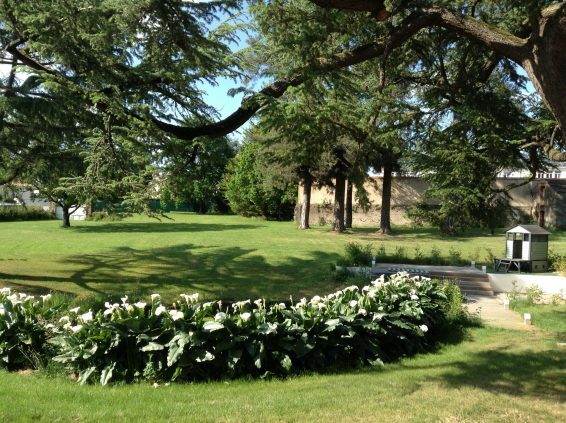 The perfect place for dreaming, reading and relaxing, the park offers a secure and very private area for sport and relaxation. Deckchairs, armchairs and parasols invite you to rest for a while round the beautiful 14 x 6 metre pool. Heated from May to September (at between 26 and 28 °C), the pool and its terrace enhance the guests’ comfort. 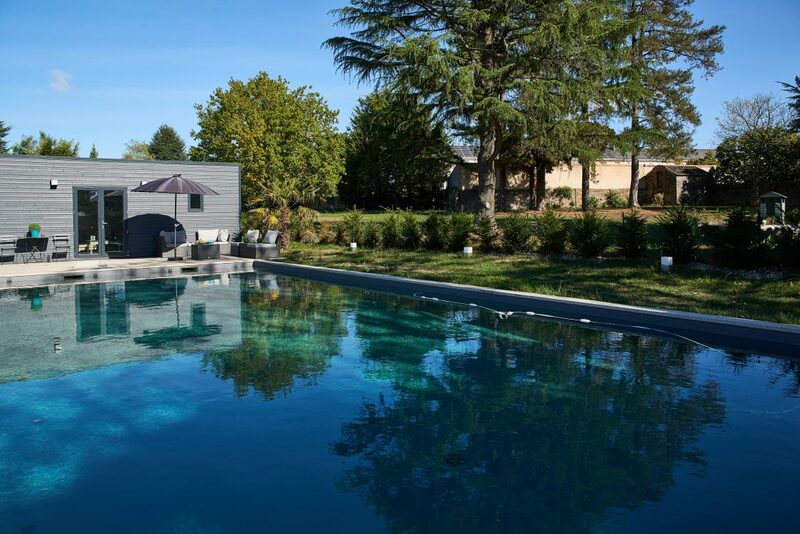 The Pool House, designed in the spirit of the holiday homes found on Île de Ré, is a resolutely modern house and bears the letters and signs of the neighbouring notarial practice. The smart interior design, light colours and rest bed complete this space which offers showers, changing rooms and WCs.